Configuration Management and Custom Resource TemplatesThe easiest way to share and organize Manifold-managed resources and secrets. At Manifold, we’re dedicated to helping developers find, organize, and connect the best services to their applications. In a cloud native world, we use a mix of both fully managed, and self-hosted services which make configuration difficult to organize and distribute. Managed services offload key functionality to experts but have their own configuration and secrets used to interact with their APIs. Internal services also come with their own secrets and configuration, giving added context to how your application runs in different environments. Manifold-managed services organized alongside your internal configuration gives you a single workflow for applications of any scale. Manifold integrates directly where you need configuration or secrets delivered. A single point of distribution ensures that every application has exactly the configuration it needs to operate regardless of platform or implementation. Manifold’s custom resources bring the flexibility of key/value storage to accommodate any type of secret you need to store. To make it even easier to organize your configuration with Manifold we’re happy to introduce our service templates beta. Service templates reduce the headache of importing secrets from your favorite managed services. 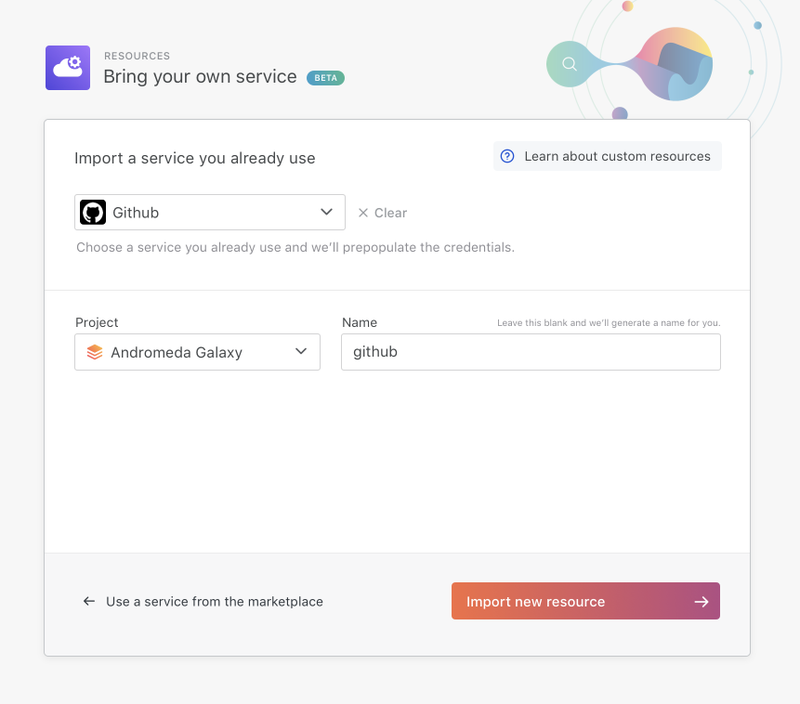 Choose a service you would like to manage the configuration for, and we pre-populate a custom resource with the fields you need. Take it for a spin in your Manifold Dashboard or read more on managing configuration with Manifold. Get started with managing your configuration with Manifold by checking out the available service templates on our homepage. To learn more about importing your configuration check out the guide to custom resources in our documentation.